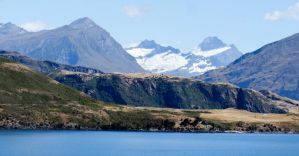 Wanaka, New Zealand, is not only a great town to visit, but it's also the jumping-off point for a number of surrounding parks and other destinations such as Mount Aspiring National Park and Arrowtown. The hostels here cater to both the long-term visitor wishing to stay for multiple days or even weeks, as well as those that are looking to visit for just a night or two and are interested in some of the nearby hikes. Various amenities and vibes are available, so make sure you check out all of the diverse hostel options before you make your decision. This fantastic hostel receives high marks from guests for its clean and modern facilities, long list of nice amenities, and friendly staff. Check out the photos! You can't go wrong here. Located right in the middle of town, you'll be all set to find anything you need nearby: shopping, dining, and provisions for your trek are all nearby. With private rooms and dorms available at great prices, you'll be very comfortable here. The have a spacious common area with TVs, pool tables, a massive decked-out kitchen for cooking your own meals, a nice outdoor patio area, clean and modern bathroom facilities, and a cozy lodge-like atmosphere. Some of the rooms have absolutely amazing views of the surrounding mountains and lake. Nightly movies, the fireplace, and the pool table area keep the atmosphere social and fun. As part of the Base chain of hostels, guests who have visited this chain in other locations might know what to expect. However, according to guests, this establishment seems to offer nicer-than-average facilities and amenities for a Base hostel. It is relatively new and modern, and one of the larger hostels in town. With two stories of dorms and private rooms located right in the middle of Wanaka's center, their reputation as a social and party hostel holds true here, but they offer even more than just a good time with simple rooms. Their onsite bar (nightly music) and restaurant serves up drinks and good food to hungry backpackers, while the multiple communal areas provide ample opportunity for guests to mix and mingle. They have a movie and TV area with nice sofas for relaxing. The highlight is their top floor common room and kitchen area that opens up onto a beautiful terrace overlooking the lake and surrounding mountains. The view can't be beat. They claim to be a luxury hostel, and they are not lying with even more amenities such as LCD TVs, ensuite bathrooms, laundry facilities with drying rooms for ski season, Wi-Fi, lockers, a swimming pool, pool table and foosball, and more. While the list of amenities of this hostel is great, they receive mixed reviews for cleanliness. Located right near the center of town, this hostel has a relaxed, home-like feel while also providing a good social environment around various common areas. Lots of free amenities are on the list such as free Wi-Fi, free tea & coffee, and a drying room for ski clothes. Dorms and private rooms are available, and everything is clean and modern. Some of the dorms are also laid out in the popular "pod" style where bunk beds are enclosed with walls and a curtain, making for a cozy and more sound-proof sleep. They have outdoor courtyard areas with tables and hammocks for relaxation and socializing. A large communal kitchen with free herbs is available for those that want to cook. Guest reviews highlight the terrific and friendly staff, as well as the comfortable feel and cleanliness of the facilities. Definitely worth a look! In the middle of town, the Mountain View, this social yet homey hostel is a bit smaller than some of the others nearby. They have dorm beds and private rooms in a building that seems to be a house that has been refurbished into a hostel. Rooms and bathrooms are clean and modern, while the common areas (including the communal kitchen) are well kept and make a great environment to meet other travelers. The Mountain View also has an outdoor garden area for socializing, relaxing, or dining. 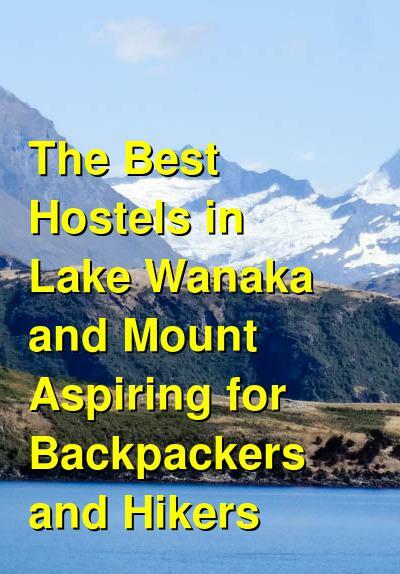 Located in Lake Hawea, 15 minutes from Wanaka, this hostel near the lake offers dorms and private rooms in a nice setting with an attached pub and beer garden area. Although not large, the atmosphere is social as the common room and comfortable communal kitchen provide a relaxed vibe. Rooms and bathrooms are modern and clean, and they also offer laundry, Internet, transportation options, and parking.